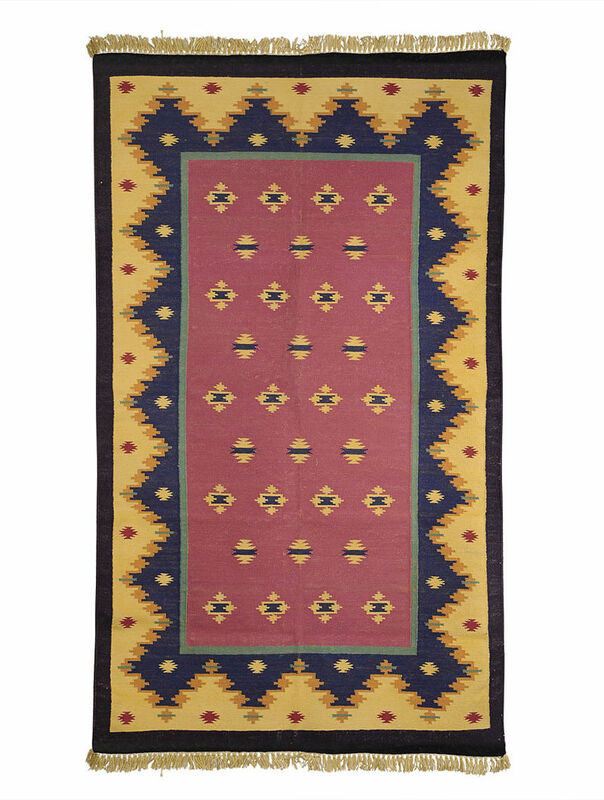 Made of 100% pure cotton yarn, this dhurrie is woven by traditional weavers on a pit loom. The dhurrie is stonewashed after weaving, so that it gets a smoother and uniform texture. Lightweight yet strong, the dhurrie can be easily washed in home on a flat surface with a brush, after dipping in cold water and using a mild detergent. Vaccum regularly to remove dust. Avoid pulling loose ends of yarn. Instead, clip gently with scissors. Wash in cold water, using a mild detergent. Do not wash in the washing machine.